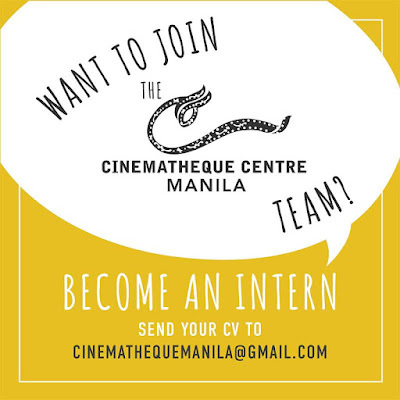 Cinematheque Centre Manila is looking for interns. 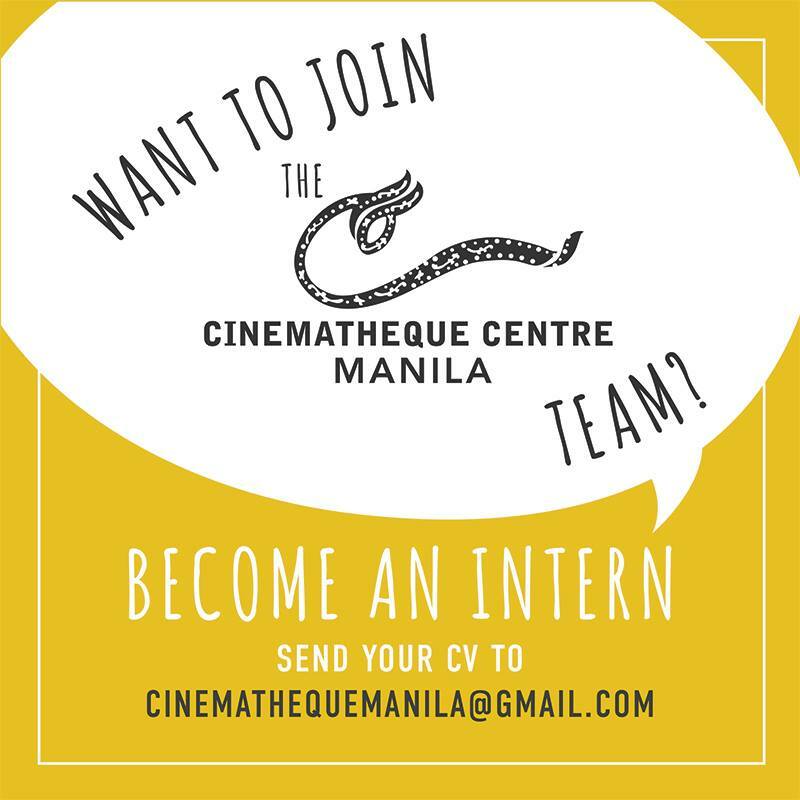 Send your CV to . The centre is located at 855 T.M. Kalaw St., Ermita, Manila (where the former Instituto Cervantes was situated).